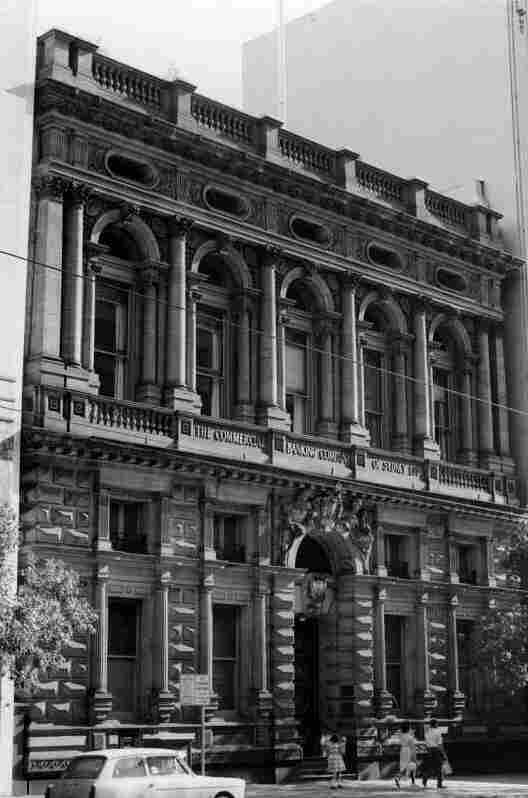 1853 suitable premises were obtained and subsequently adapted to the purposes of the Bank , business was commenced at the Melbourne Branch on the 17th January. (9th Annual Report). 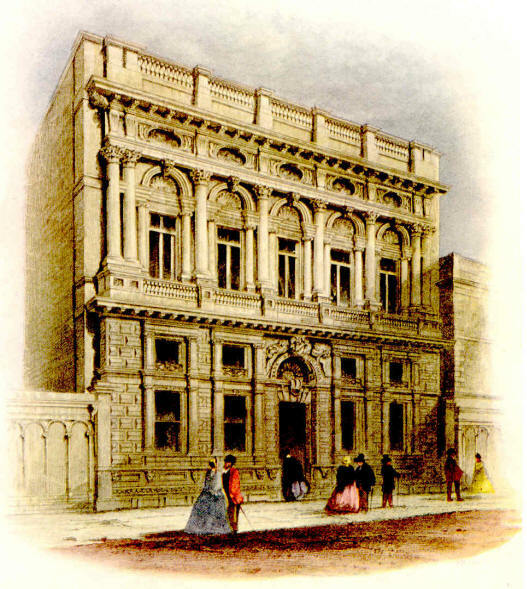 1853 Closed 2nd May and business transferred to Bank of NSW (10th Annual Report). 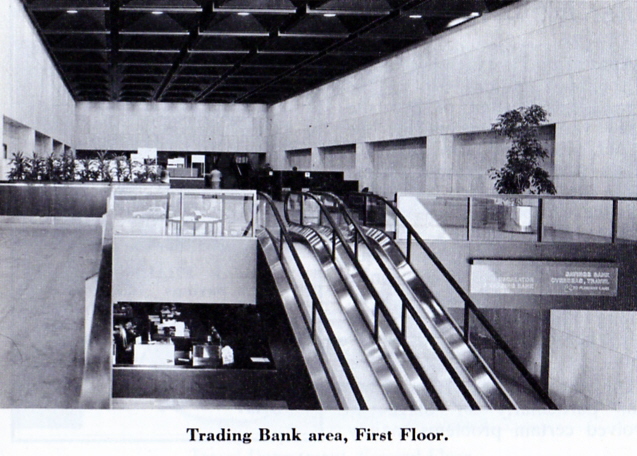 1973 1862 The 3 storey building designed by Joseph Reed was a similar design to the Royal Mint. 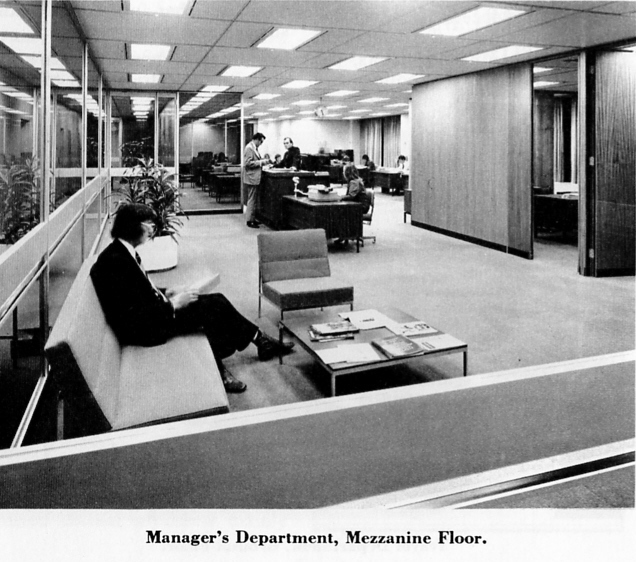 Heavy ornamental treatment on the bottom floor. Built at a cost of £40,000 in the Victorian period in the Renaissance Revival style. It was destroyed around 1956. 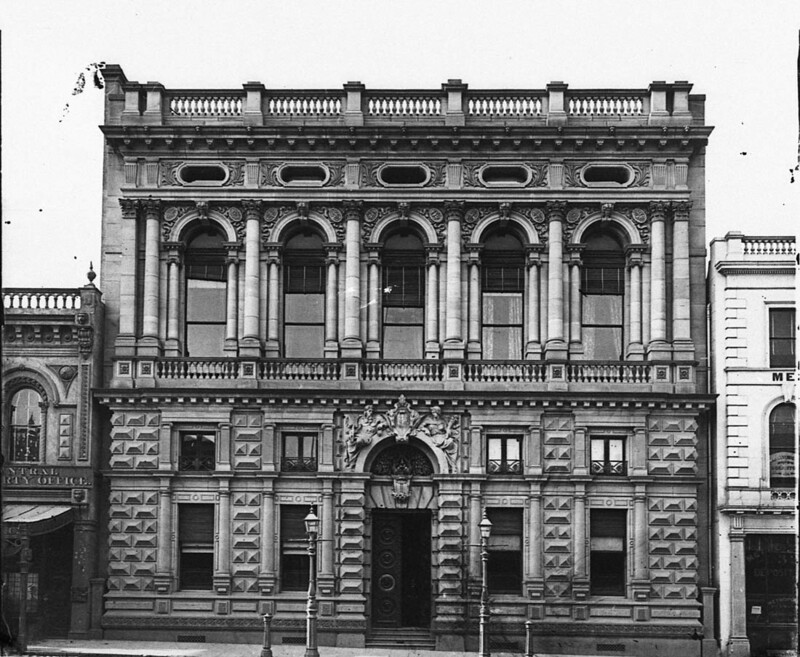 Bank of Victoria 34-36 Collins Street, from State Library of NSW, with Frank Madden, Solicitor at 32 & Metropolitan Permanent Building & Investment Society. 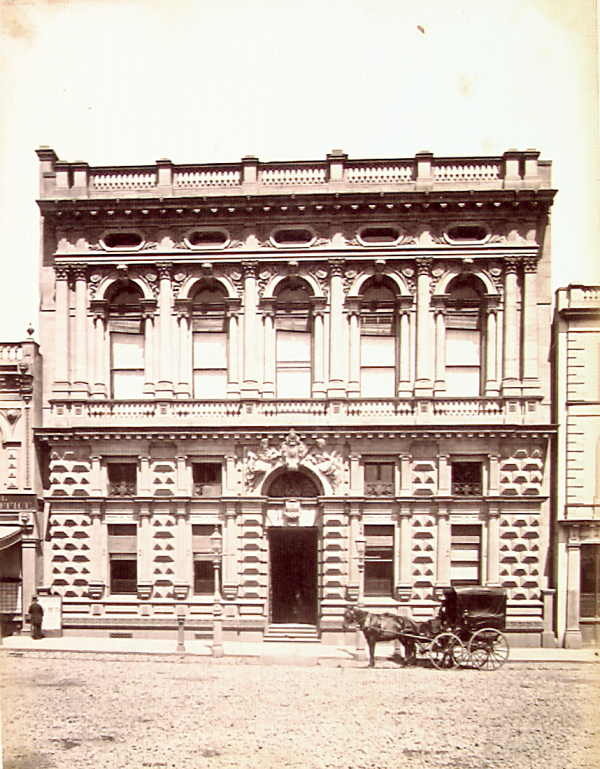 1864 New Bank of Victoria South Melbourne from State Library of Victoria. 1866 Bank of Victoria Melbourne deposit slip from John McHutchison, who advised "The form was made out by John Atkinson a very prominent resident and Hotelier in Deniliquin." 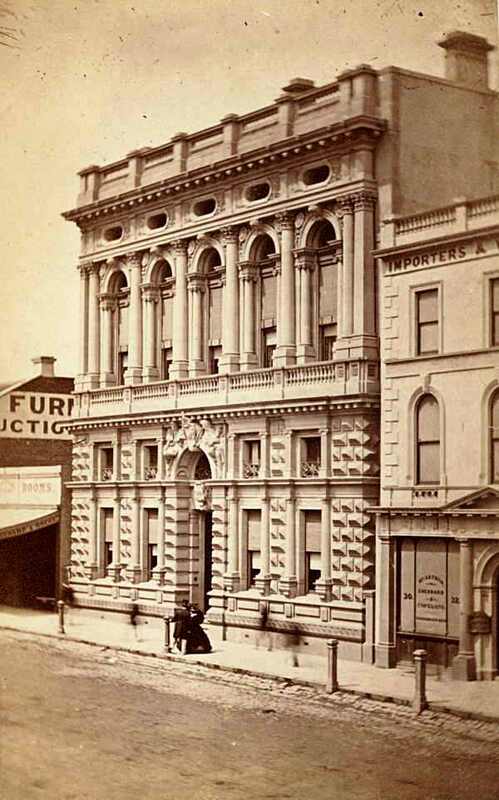 1870-c1880 Bank of Victoria photo from PictureAustralia. 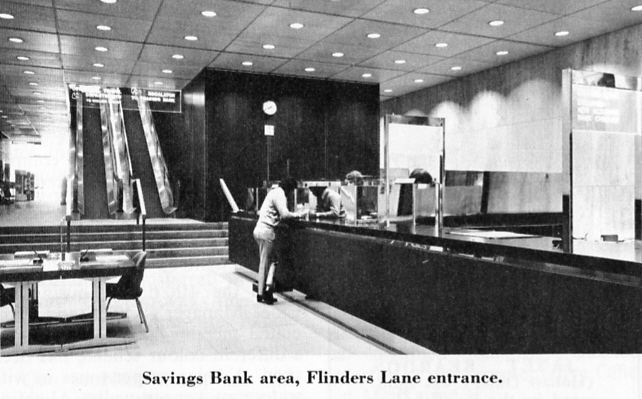 1934 Picture of Bank of Victoria, Melbourne in A Century of Banking in colour and Current Accounts Oct 1978 b&w. 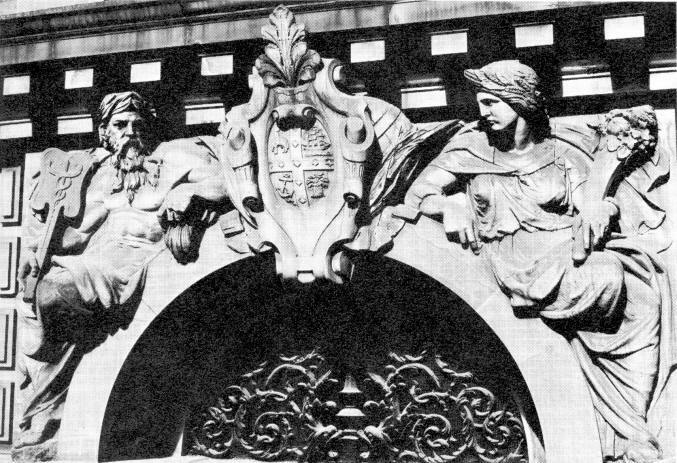 1973 Facade of the original Bank of Victoria in Collins Street, donated to the National Trust when the new building was completed. 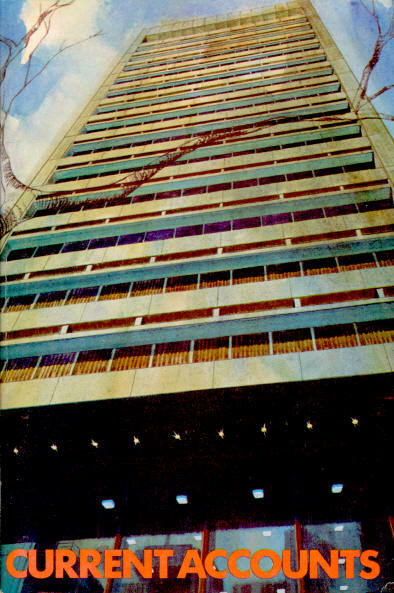 There is a major feature on 257 Collins Street, Melbourne to celebrate its completion during 1973. 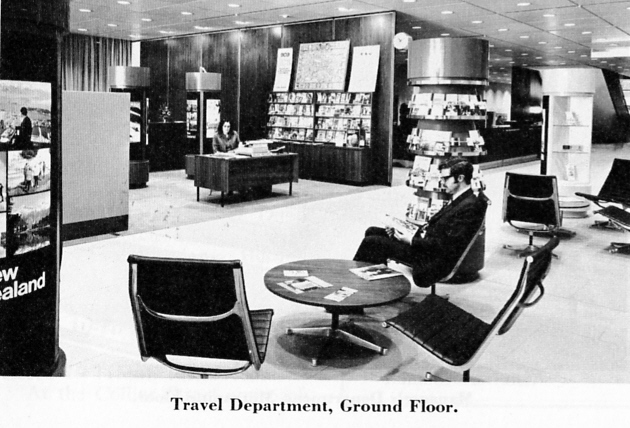 The photos are of the interior and are reproduced from Current Accounts, January, 1974. Savings Bank area, Flinders Land entrance. 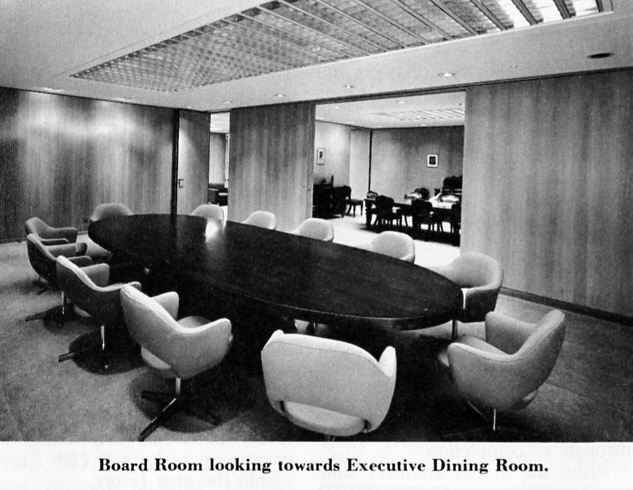 Board Room looking towards Executive Dining Room. 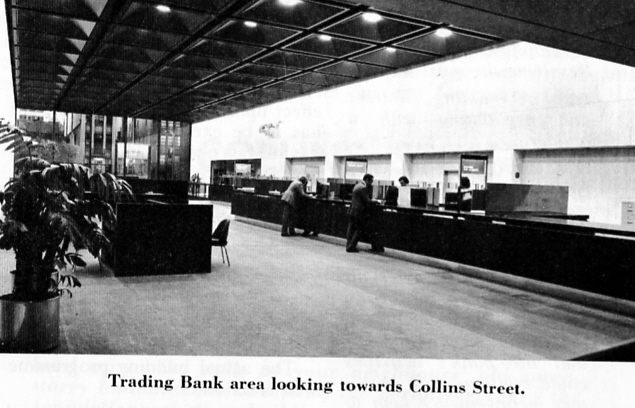 Trading Bank area looking towards Collins Street.